Corinne Laframboise was pinned to the ground by her opponent during the second round of her latest professional mixed martial arts fight. Her back on the floor of the cage, she fought to regain control. As her opponent tapped out of the fight, Laframboise stood up, the exhaustion of the fight and emotion of the moment clear on her face. She congratulated her opponent, and paced around the centre of the ring, taking in the crowd and the exhilaration of the win before running to her coaches, a smile across her face as the team applauded her for a win in her hometown. Two years ago, Laframboise stepped into the octagon for the first time. Competing in Germany, with no prior amateur experience in the sport, she came out on top, taking her first fight by submission. Praised by her coaches for her work ethic, Laframboise’s momentum is propelling her forward, her last victory tipping her record to three wins, two losses. In 2014, Laframboise dove head first into Brazilian jiu-jitsu, a sport that is played out on the ground, where fighters use techniques such as grappling, locks, and choking. After seeing the skill and beauty of the martial art firsthand at a gym one day, Laframboise felt compelled to immerse herself in it. Driven by her newfound passion, she quickly upped her training to six or seven times a week. Between BJJ, muay thai, boxing, and wrestling, it’s been a series of passionate affairs with various disciplines that led the Saint-Mathieu-de-Beloeil native to professional MMA. Four and a half years after setting foot in that first gym, Laframboise now trains between 20 and 25 hours a week, while working part-time as a dental hygienist. 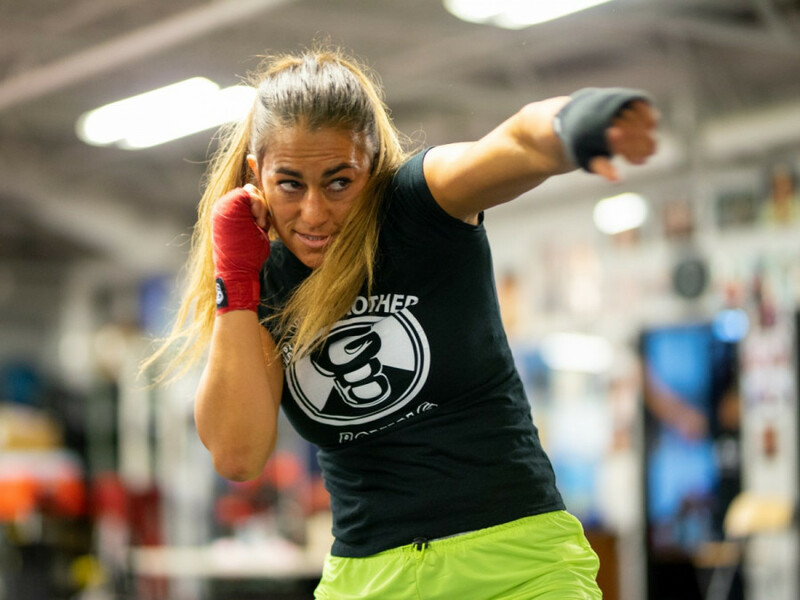 If she works as hard at the profession as she does in boxing training, said former Olympic boxer Howard Grant, who’s been coaching Laframboise in the discipline for several years, she must be very good at what she does. Coming home victorious from her first fight, Laframboise also suffered a double fracture in her jaw, but she wasn’t deterred from competing. To excel in MMA, she explained, athletes must master the different disciplines before combining them. Balancing the training between many martial arts and conditioning is another challenge of being an MMA fighter. The coach noted that while athletes can have their specialties in terms of fighting style, to reach the top, they have to be comfortable in any situation during a match. The true challenge of the sport is to combine skills and disciplines and excel in each area to find success. MMA is the perfect storm for Laframboise, who always thrived in competitive environments, and who desires to push her limits. When it comes to her training, she goes all in. More than the physicality of the sport, she admires the humility that comes with martial arts. “I think she’s at the right place right now,” said Côté. “Every time she comes in the gym, I can see that in her eyes. I can see that she found the right place, she feels comfortable everywhere she goes.” Now that Laframboise has found her pace, the coach added, she is on the way to becoming unstoppable. Next up: Getting a contract with the UFC, and ultimately winning the championship belt in the flyweight division. In the recording of the final moments of the bout between Laframboise and Ribout, Côté’s voice is clearly heard. “Grab her head! Grab her head!” he yelled in French. For Laframboise, that moment speaks to the importance of having solid corner coaches, who see the fight from the outside and can offer guidance during the match. Prior to a fight, Laframboise researches her opponent with her coaches to get an informed idea of her future adversary. She analyzes footage of her opponent’s past fights, and also reads interviews and articles to get to know her. Laframboise was expecting Ribout to have a right-handed fighting stance, but the French fighter changed sides. Laframboise was taken aback for the first few seconds of the match, and had to adjust quickly. While she enters her fights with the intention to dominate, she knows the importance of adapting and being flexible in the ring. Come fight day, she is excited and nervous all at once. She doesn’t want to lose, or lose quickly to her adversary, she said. Making her way into the ring buoyed by the tunes of A Tribe Called Red is a moment she relishes. In her MMA journey, Laframboise stumbled into adjacent opportunities that bring her closer to her UFC goal. She was recently approached to be a stuntwoman in a movie, something she did not expect prior to her career. Teaching private BJJ lessons to young girls has also been fulfilling for Laframboise. “Just knowing that you can make a movement […] that you can defend yourself, [it] breeds self confidence,” she said. So many aspects of Laframboise’s MMA life have come together to bring her to where she is today. While it may not have been an easy journey, it’s something she completely dedicates her time and focus to.